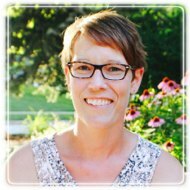 Omaha Therapist: Jennifer Francke - Therapist 68144. Session Fees: I am an in-network provider with Aetna, Blue Cross Blue Shield, Cigna, Coventry/MHNet, Midland's Choice, and United Healthcare. The decision to enter into psychotherapy can be a challenging one. Picking up the phone or sending an email to request support from a complete stranger can feel awkward and leave us feeling quite vulnerable. I would like to begin by saying I admire the strength and courage you demonstrate by taking action to care for yourself, which is exactly what you're doing when you decide to enter into therapy. Everyone goes through challenging situations in life and while you certainly have navigated through past difficulties you’ve faced, there’s nothing wrong with seeking out extra support when you need it. Therapy provides that support, in addition to encouragement and the tools you need to help overcome the difficulties you face. Additionally, I offer adult substance abuse evaluations which are accepted by the Nebraska Criminal Justice System. As a registered service provider in Nebraska, I am also happy to offer level 1 outpatient treatment for those who are court-ordered to complete this level of care. I am a licensed independent mental health practitioner and licensed alcohol and drug counselor in Nebraska. I hold a Master of Science in Clinical Counseling and consider myself to be an integrative, trauma-informed and client-centered practitioner. I am certified as a Clinical Trauma Professional and trained in EMDR therapy which can be applied and utilized in many different ways. I have also completed yoga teacher training and hold additional training in restorative yoga which is easily integrated into the treatment plan if that is of interest to you. I look forward to meeting and working with you!